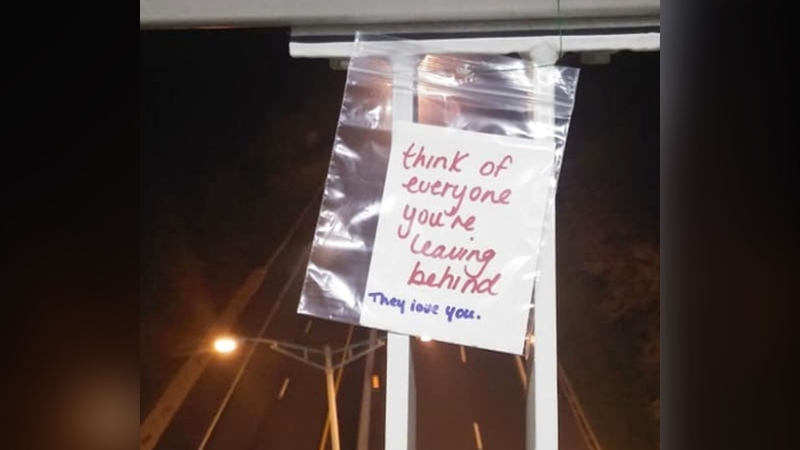 Messages of support are being left on a bridge in St. Catharines, Ont. following a teenager’s apparent death by suicide, in hopes of preventing another loss of life. The province’s Special Investigations Unit said the 19-year-old man jumped over the Burgoyne Bridge and landed on the highway below following a brief interaction with a member of the Niagara Regional Police Service on the night of Oct. 4. 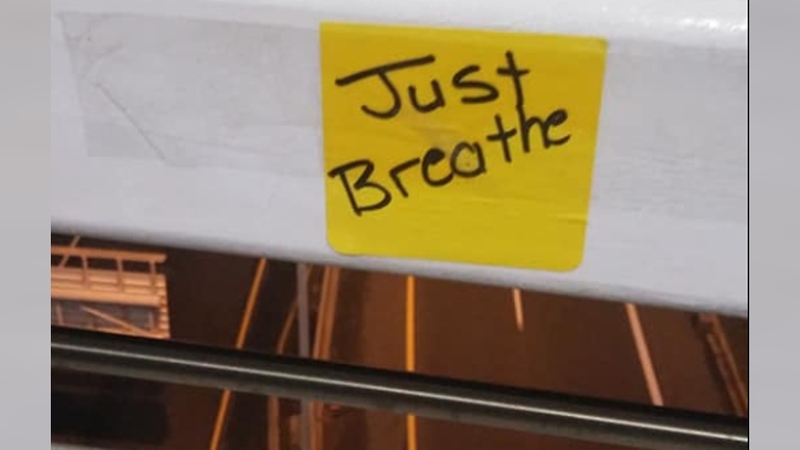 After hearing about the incident, Wendi Duggan, who has a distant connection to the teenager, visited the bridge with her two children and placed three messages of support, in hopes that someone seeing the notes might think twice before jumping. Within two days, strangers also began sticking mostly small handwritten notes of encouragement on the bridge. Duggan says she counted 45 messages the last time she visited. Some of the messages included phone numbers for suicide prevention hotlines. Duggan said she intends to start a petition asking the city to erect additional fencing along the bridge to prevent similar incidents in the future. 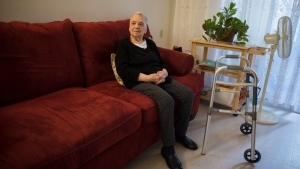 A request for comment from the City of St. Catharines has not been returned. Duggan has created two Facebook groups connected to this project: Bridges of Hope, related to the messages on the Burgoyne Bridge, and Niagara United, a group working to brainstorm mental health and addiction solutions for the Niagara region. If you’re experiencing mental health issues or suicidal thoughts, please consult this directory of suicide prevention hotlines.